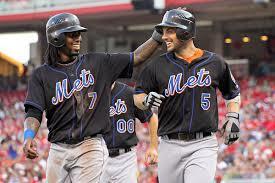 Sunday July 20th 2008: Jerry Manuel's first place Mets (53-46) were on the road in Cincinnati at Great American Ballpark to play Dusty Baker's fourth place Reds (48-52). The starters were the Mets Mike Pelfrey & the Reds Edinson Volquez. A good crowd of 31,195 came out for the matinee . The Mets were trying to salvage a game in the series & avoid being swept. In the 1st inning Jose Reyes led off the game with a base hit. He advanced to second on a wild pitch & then scored a typical Reyes run on a Carlos Beltran base hit. In the 2nd inning, Reyes singled for his second hit of the day. The Reds, Adam Dunn hit a solo HR in the 2nd inning, but Ramon Castro answered with a two run shot in the 3rd putting New York up 3-1. In the top of the 4th inning, Jose Reyes got his third hit of the night, as he tripled to right field setting the Mets all time triple mark with #63. It was his 11th three bagger of the season, certainly a historic one. Reyes still holds the Mets record today which now stands at 99. 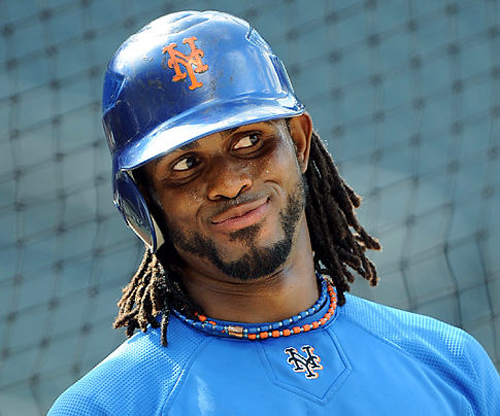 Two batters later Reyes scored on David Wright's sac fly making it 4-1. But Mike Pelfrey had a bad 4th inning topped off by Edwin Encarnacion's HR, tying the game. In the 6th Brandon Phillips connected off Pelfrey to put the Reds ahead, but in the top of the 7th Carlos Delgado drove in David Wright with a base hit to tie it. The game went into extra innings, then in the top of the 10th, pinch hitter Robinson Cancel doubled to lead off. 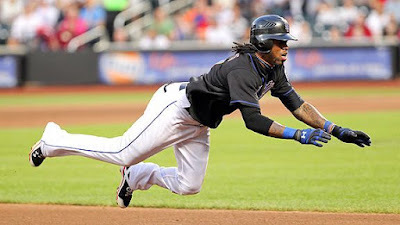 Jose Reyes then dragged a bunt for an infield hit. Then Argenis Reyes (an infielder who played 58 games for New York over two seasons) with no relation to Jose, reached on an error which led Cancel to score. 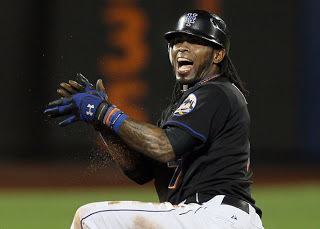 On the night Jose Reyes had four hits, scored three runs & kept his average over .300.